What is a First Year Ambassador? First Year Ambassadors are new Transylvania students who have been trained on the resources available to campus and have started developing friendships with their class. By participating in one of our week long First Year Ambassador Programs, you will become a guide and ambassador for your entire Class of 2023. Because you will be so comfortable with Transylvania, you will be able to assist your fellow classmates during orientation and their transition into college. 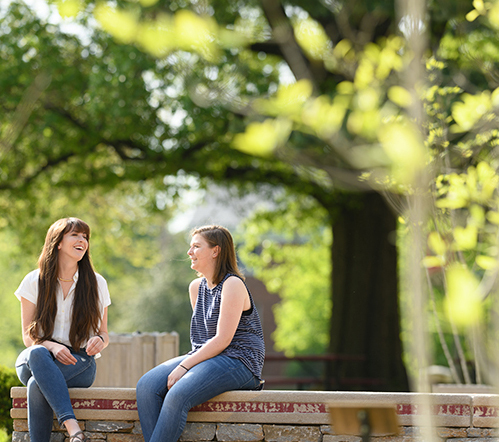 All incoming first year students who want to develop stronger connections to Transylvania and Lexington, get to know their classmates, and develop academic and well being skills for college success. This summer experience will give you a head start on your college career by embracing the adventure of college! During each session we will explore Lexington and the Bluegrass region, build our Ambassador team through canoeing and a ropes course, learn how to promote well being for a successful college experience, explore campus, and meet amazing campus partners including 100 Doors to Success, Career Development, Financial Aid and Billing, Student Wellbeing, Campus and Community Engagement, and faculty. The application includes the question: "Why do you want to be a First Year Ambassador?" This statement should be minimum 250 words. If you'd like assistance in developing your application statement, contact Michael Cronk, Assistant Director of Career Development at mcronk@transy.edu or (859) 281-3685.